The Friends organisation was founded in 1956 by the then Vicar of Edington, Canon Ralph Dudley. Although most of the Friends live outside the parish, we’re united in our love of this great building. Maintaining any large building is an expensive business. But the cost of looking after a large, 14th-century Grade I listed Priory church is enough to make most people’s eyes water. 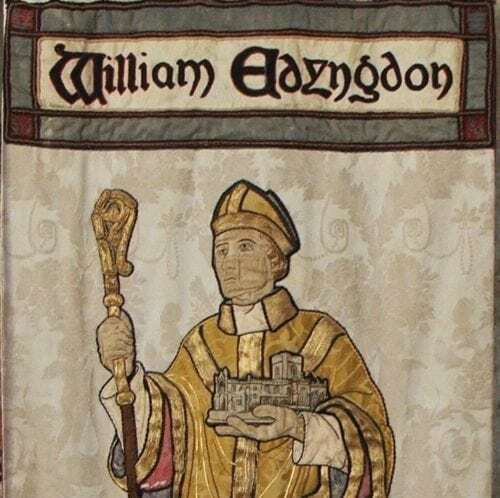 When Canon Dudley arrived as vicar of Edington in July 1954, the Priory Church was in a sorry state. It was immediately obvious that ‘a very large amount of water’ was coming in through the roof and, by the autumn, urgent repairs to some of the pinnacles were put in hand. This was not the end of it; the new vicar was already anticipating an ‘appeal for a huge sum of money … for repairs to the remaining pinnacles and the roofs’, as well as for the church heating and the bells. 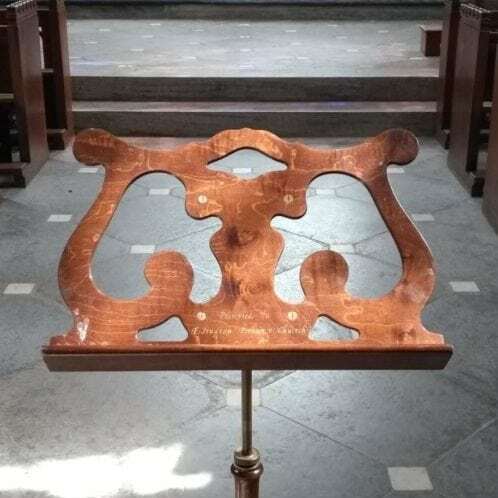 Inside the building, the church furnishings were little better. New vestments were needed, along with a new altar cloth, hassocks and flower vases to enhance the regular worship. But there was worse to come. Death-watch beetle was found in the church’s timbers, and restoration estimates of £10,000 quickly escalated to £30,000. The first ‘Choir Festival’ – later the Music Festival – was held in September 1956 and, in July of that year, a Miss Carew Hunt began sending out leaflets inviting ‘friends of this church to become Friends with a capital F’. The minimum subscription was set at 10 shillings (50p). 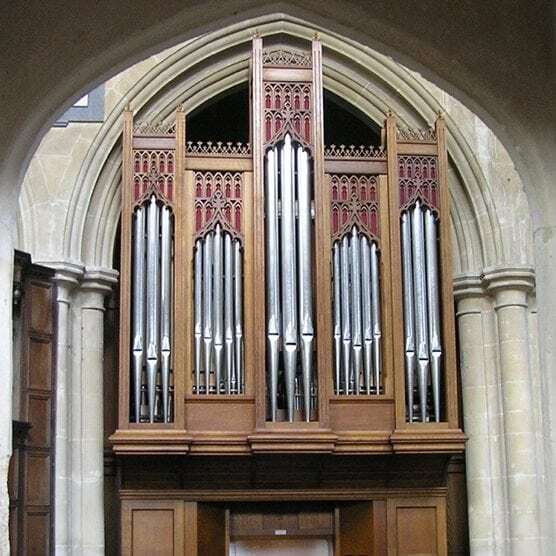 Today the church is far better maintained – but it was fitting that the Friends provided initial funding and further financial support to the £437,000 new organ appeal, launched by the Edington Music Festival Association at the 56th Music Festival in August 2011. The appeal was fully subscribed just two years later, and the new Harrison & Harrison organ was dedicated on Friends Day 2014.
the improvement of its furnishings and fittings where necessary, so that it may become more and more a source of inspiration and house of devotion. Since our foundation in 1956, the Friends have made grants totalling over £190,000 to fulfil these purposes. We hope that you will join us, and participate in our annual Friends Day, concerts and events. 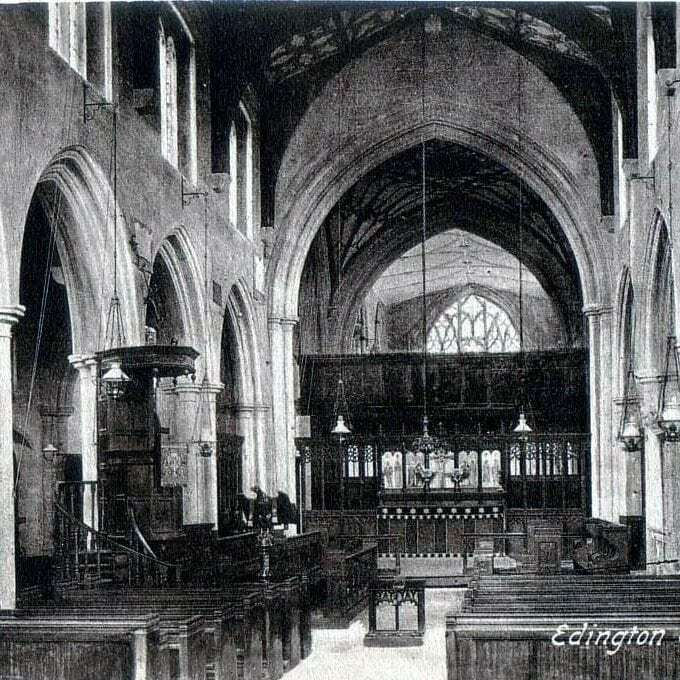 The church as you see it today was built by William of Edington and consecrated in 1361. There had been a monastic church on the site since Norman times. Some images from the 19th and 20th centuries. Set up at the same time as the Friends, the Festival was initially just a weekend of friends singing together to help raise the £30,000 that was needed to restore the church. However, it was such a success in 1956 that they decided to do it again the following year ... and the year after that ... ! Now, over 60 years later, it's a week that people from all over the world come to enjoy. The Edington Arts team aims to bring small scale, high quality musical performances to the Priory Church, which has a fantastic acoustic. There have been some truly memorable concerts so, if you enjoy great music at affordable prices, this is the place to look.